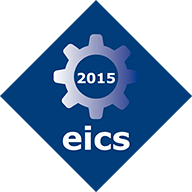 The EICS 2015 Social Event will be held on Thursday, June 25, 19:00, at Broich Castle, Mülheim an der Ruhr. The castle is easy to reach from the conference by tram (further information to be found in the printed program). Broich Castle was originally erected to protect the town from invasion by the the Normans 1.100 years ago. It is regarded as Mülheim's oldest building. It is also the oldest, still maintained Carolingian fortification in German-speaking Europe. Over 200 years ago, Broich's most famous guest stayed there – Luise, Queen of Prussia – as the castle was owned by her grandmother. The castle survived a long and eventful history, including bloody feuds, wars, occupation and destruction. Today, an exhibition of the local society for history informs the visitor about these events and explains their meaning for the city Mülheim an der Ruhr. It is also a popular location for weddings, music festivals and other events.